Ever feel more challenged dealing with your kids than you do by employees and clients at work? Being a parent can seem like a hard job when the world of work is also demanding. As parents we are constantly reminded about our behaviour and need for patience. Skills that are also valuable back into the work place! Also from our kids we are reminded of the value of creativity, energy, playfulness and enthusiasm. My guests this week combine fatherhood with busy work lives. Caspar Craven, is a highly successful entrepreneur who took two years to sail around the world with his wife and 3 young children. 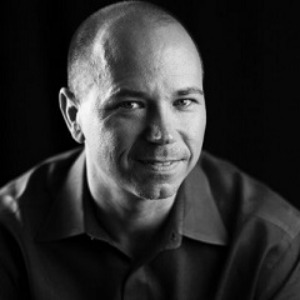 Dan Kuschell is a Business Growth Expert who has built 11 companies and has a young family. Join us this week as three fathers in business discuss their lessons from parenting including a word of warning. As a CEO once said to Chris Cooper ‘My biggest regret from building my company is I had no time for my children, now they are grown up and I have time, they have no time for me’. Caspar Craven launched his first business aged 14 catching crabs & lobsters and by aged 16 was exporting 1/2 a tonne of crabs a week to Spain. He went to University & for the next 8 years worked in the corporate world – first as a Chartered Accountant & then as an Investment Banker at KPMG. In 2000 Caspar signed up for the Worlds Toughest Yacht Race, the BT Global Challenge & joined Yacht Quadstone as the youngest crew member onboard. In 2001 he returned to entrepreneurial life as an e-commerce entrepreneur. Over the following 15 years, Caspar raised money for, built, grew & sold businesses. In 2009, Caspar & his wife hatched a plan to sail around the world with their young children & spent the next 5 years planning how to make things happen. In 2016, they successfully completed their circumnavigation! 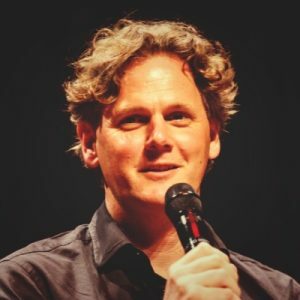 Caspar is now on a mission to be a truly inspiring leadership & team building speaker, giving actionable advice on how to achieve amazing results both professionally & personally. D an Kuschell is a husband, dad, serial entrepreneur, and angel investor. He’s a Growth Partner for Genius Network, Founder of Growth to Freedom, started and built 11 companies, and coached over 5,329 entrepreneurs and small business owners on how to grow their company. Dan is a business growth expert that will help you grow, optimize, and scale and what that means for you is you will discover how to convert more leads, generate more sales, and improve profits so you can have a bigger reach, impact, and contribution. You can also learn more about Dan at: GeniusNetwork.com, his show at growthtofreedom.com, or follow him on LinkedIn, Facebook, and Twitter.